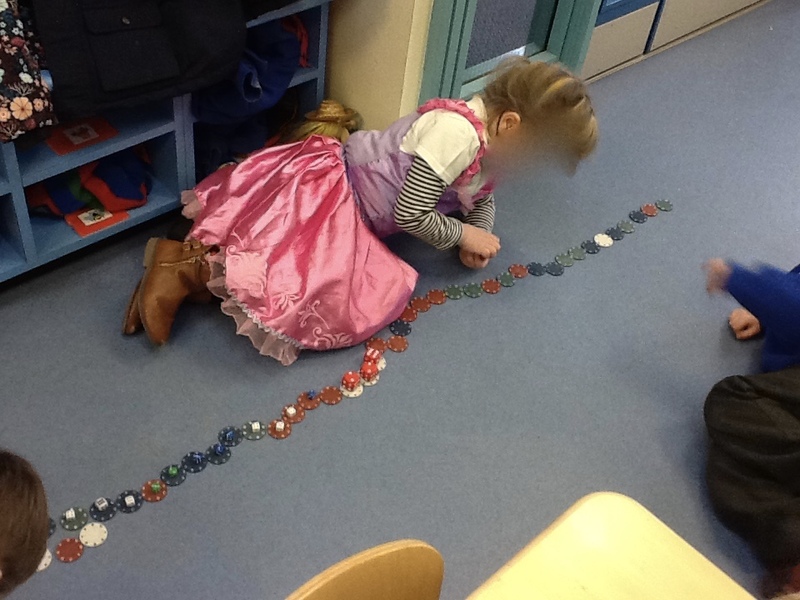 Polydron, Dice & Poker Chips - Take 2! I wrote a post back in June about how adding some dice to our Polydron had made it become a much more versatile resource than it already was - I love Polydron and the plan for this year is to invest in more of it. 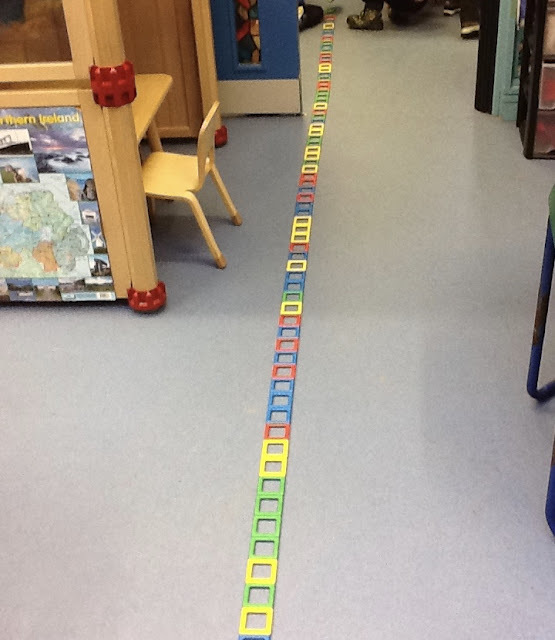 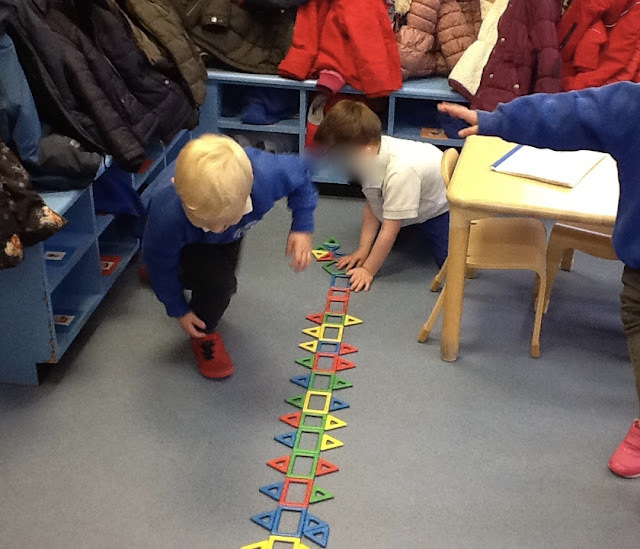 Today one child decided to build on the floor with it rather than up on the Tuff Spot, he began by laying all the squares down, others then joined him snaking out into the hallway. 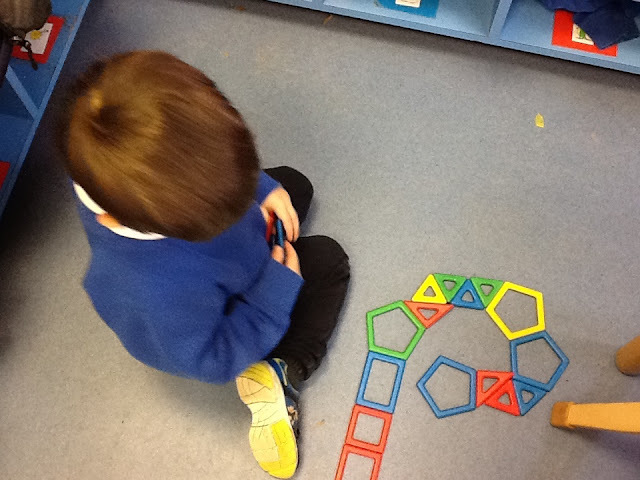 They all worked really well together and there was lot son chat about what they building, what they could add etc. 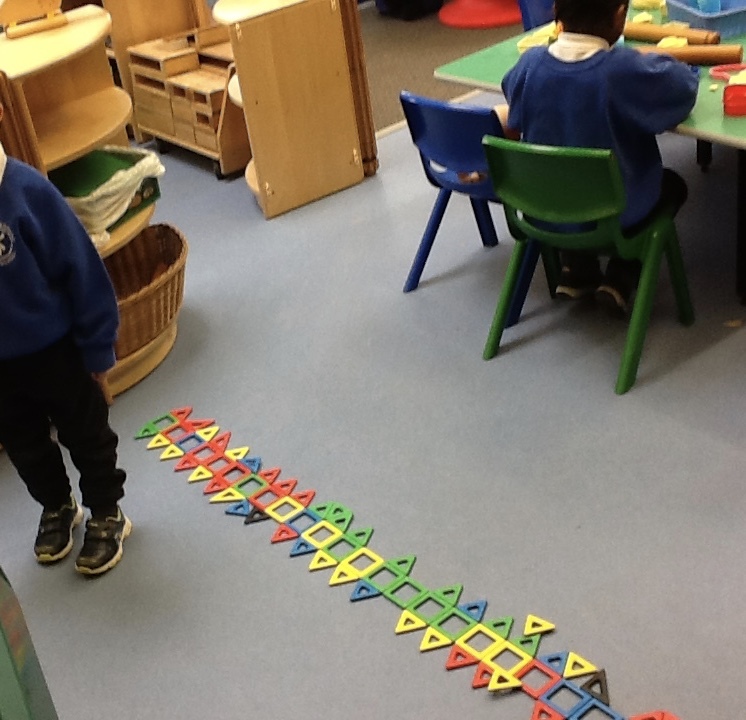 When the squares were exhausted they began to add the triangles to the outside, then the Pentagons and these allowed the 'snake' to go around the corner and then they decided to add the dice and finally the poker chips. 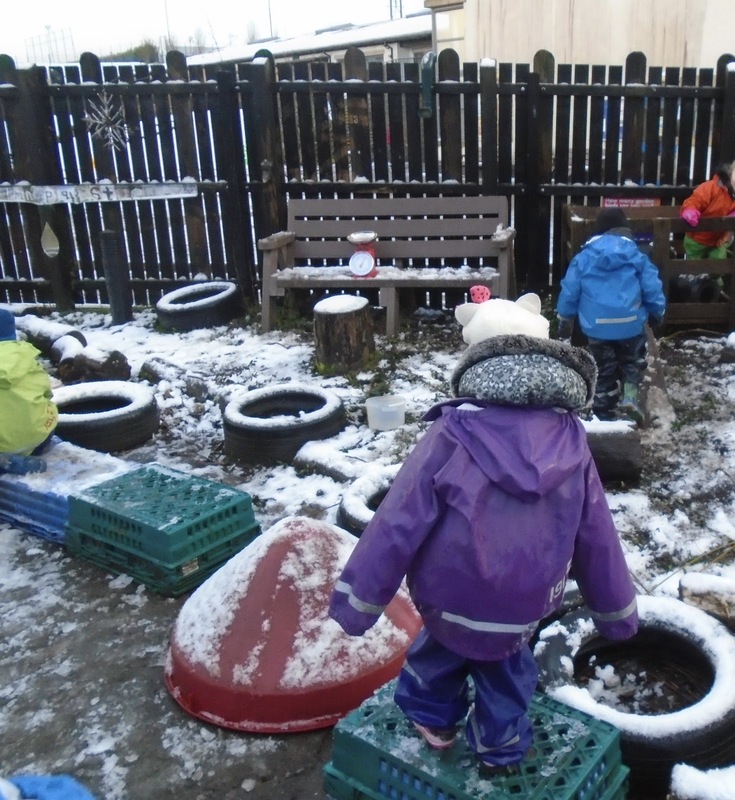 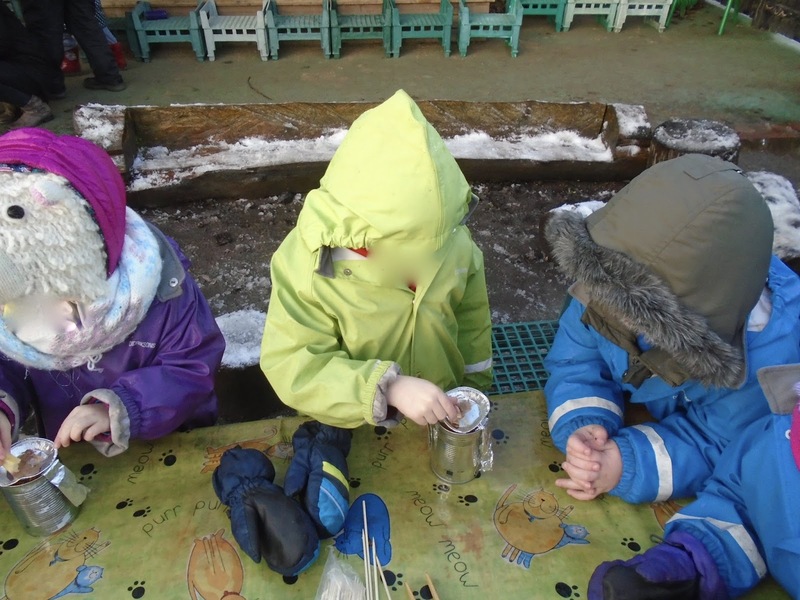 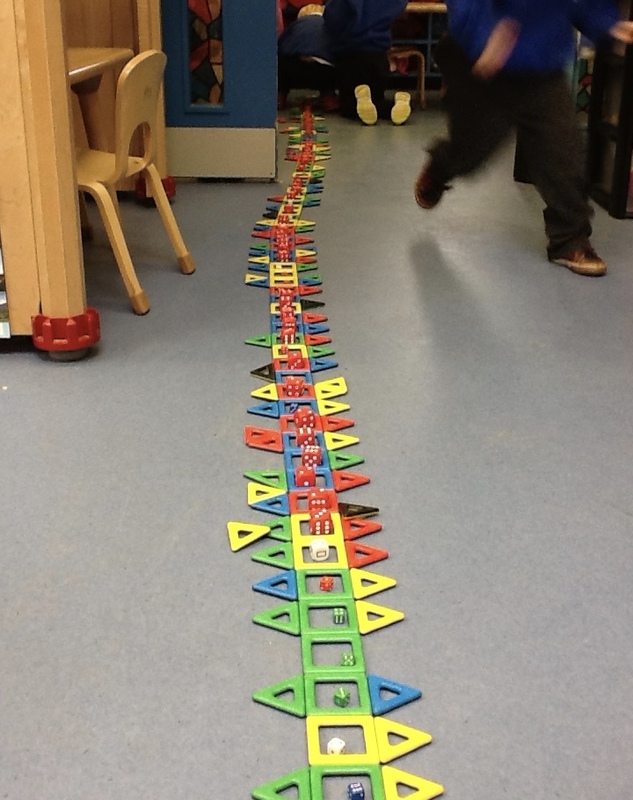 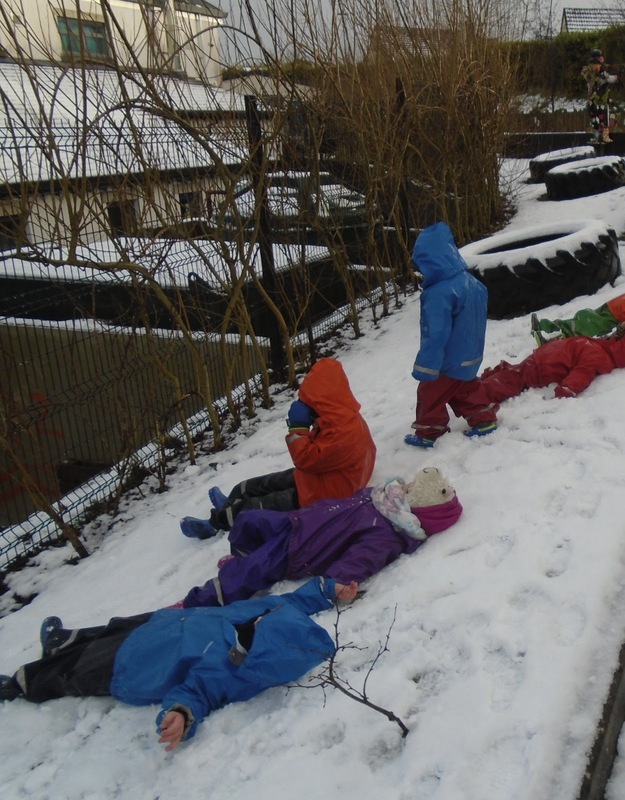 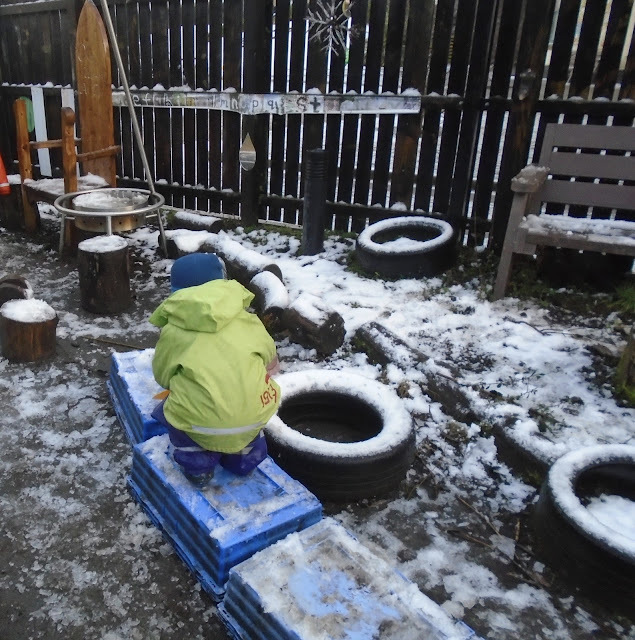 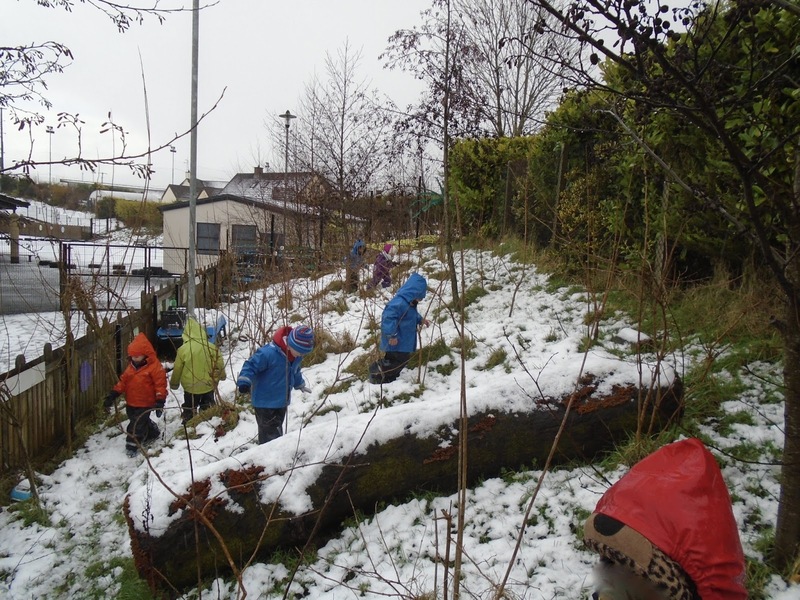 This activity kept this group of children busy and engaged for up to 2 hours and made me realise that it is important to allow the children the opportunity to build on a flat surface too. 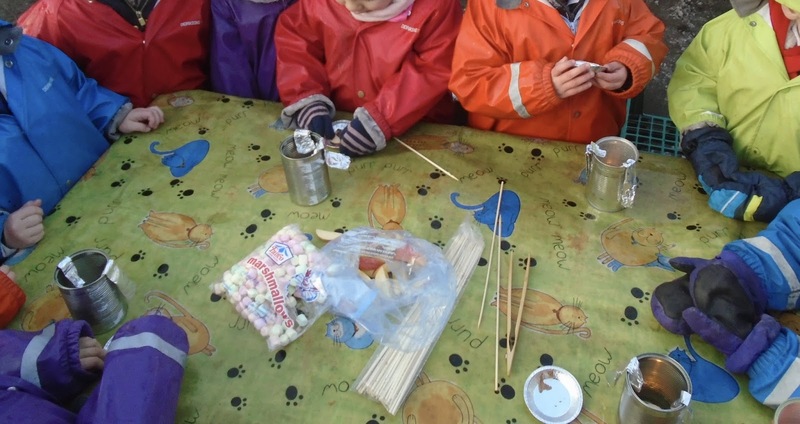 As we need the tables on dinner days, perhaps on a lunch day we could have it outside and remove some of the tables to all the children to build on this scale again in the classroom.